Some people were saddened in early 2017 when Microsoft announced that it was cancelling one of its most eagerly anticipated exclusives. This was none other than Scalebound, a game by developer PlatinumGames which was to offer a massive open world and multiplayer co-op gaming in a fantasy universe. Sadly, Scalebound joined the list of cancelled video games, but back then we had hoped that the game would return in some form (like Blizzard did when it turned its cancelled Project Titan into Overwatch), even if this seemed unlikely back then. But now rumours suggest that indeed Scalebound could see a release, although it won’t be an Xbox One exclusive this time around. 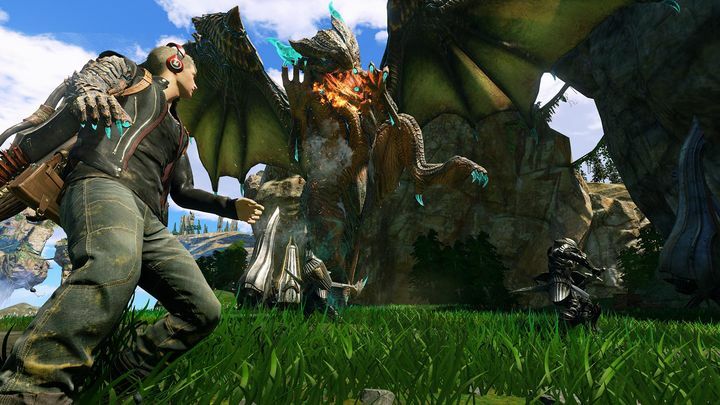 No, it seems Nintendo may have picked up the cancelled game, and might now be working with developer Platinum in order to bring Scalebound to its Switch console, as was recently covered on VG247. This is all a rumour for the time being, though, and we’re still waiting for official confirmation from Nintendo that it’s indeed resurrecting Scalebound from the grave for its Switch console. But nonetheless this is an exciting development for all those who were looking forward to playing Scalebound back in the day, so here’s hoping the Nintendo Switch version of it ends up being very good if it does hit shelves in the future.